Marking the end of a 2017 regular season that has thrown up plenty of surprises, the Rolex Paris Masters saw a continuation of a theme, with the year’s Masters 1000 events serving up a wholly different narrative to their Grand Slam counterparts. While Roger Federer and Rafael Nadal reigned supreme in the four biggest tournaments of the year, the Masters 1000 scene has witnessed the emergence of a clutch of players who lay outside the Top 15 at the start of the year. 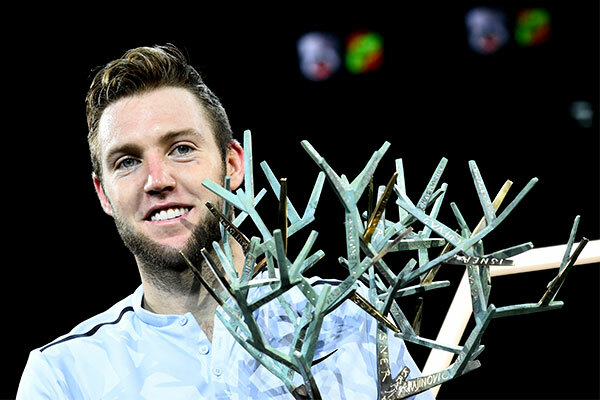 Alexander Zverev took the Rome and Montreal titles after starting out 24th in the world in January, and Cincinnati winner Grigor Dimitrov and the newly crowned Rolex Paris Masters champion Jack Sock began the season in 17th and 23rd respectively. On the basis of this year’s Masters 1000 tournaments, there is a changing of the guard taking place, albeit a gradual one, as the age of the season’s three first-time winners shows: Zverev is 20, while Dimitrov is 26 and Sock a year younger at 25. And they have not been the only young players to get themselves noticed. The 24-year-old Dominic Thiem made the final in Madrid, the 22-year-old Nick Kyrgios did likewise in Cincinnati, and Filip Krajonovic caught everyone off guard by finishing a runner-up to Sock in Paris. Their progress should be closely monitored in the coming months, and though it is far from certain that they will sweep the old guard aside, the signs are there. Time is on their side, while age and/or injuries are catching up with the game’s thirty-something icons, undermining their ability to win and achieve consistency. A sign of things to come in 2018? The new wave have made the most of every opportunity afforded to them by the Big Four in general and by Federer and Nadal in particular, snatching four Masters 1000 titles this year. That figure is as many as the game’s dominant quartet gave up in the previous six seasons, when Cilic won Cincinnati in 2016, Tsonga in Toronto in 2014, Wawrinka in Monte-Carlo in 2014 and Ferrer at the Rolex Paris Masters in 2012. The next step for the game’s young guns is to win major titles by beating the Big Four. Zverev showed them the way by respectively seeing off Novak Djokovic and Federer to win the Rome and Montreal finals. Meanwhile, Thiem, Denis Shapovalov and Nick Kyrgios have all beaten year-end world No1 Nadal at Masters 1000 events this season (at Rome, Montreal and Cincinnati respectively), albeit without managing to kick on and win those tournaments. It remains to be seen if they can kick on and replicate their Masters 1000 form over five sets in the Grand Slams, where Federer and Nadal have been in a class of their own this year and where the losing finalists (aside from Nadal at the Australian) have been Stan Wawrinka, Kevin Anderson and Marin Cilic, who at 29, is the only under-30 of them all. Yet with Zverev ranked No3 in the world, Thiem No4, Dimitrov No6 and Jack Sock No9, the young wolves have laid down important markers this year. Having whet their appetites in the Masters 1000s this season, they will be anxious to hunt down their elders in 2018.